This notice governs the use of allsales.ca Internet Web site. Please read it carefully before accessing the site. Information and materials provided on this Web site are believed to be accurate when posted. Despite its best efforts, however, allsales.ca cannot guarantee that they are accurate or complete or that they will be current at all times. Furthermore, Internet software or transmission problems may produce inaccurate or incomplete copies of information and materials that may be downloaded and displayed on a party's computer. 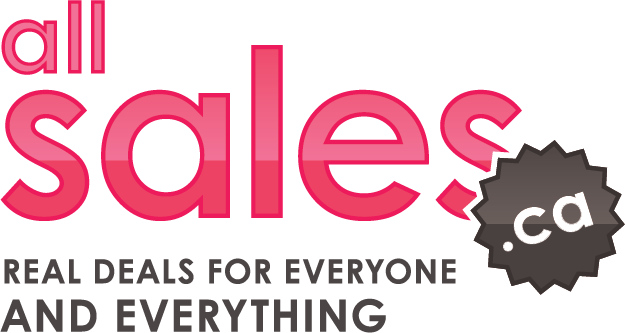 allsales.ca reserves the right to modify the information and materials contained in this site without prior notice. You agree to review the said information and materials regularly and your continued access or use of the site will mean that you agree to any such changes. The products and services described in the pages of this site are made available by the advertisers. allsales.ca is not responsible if any product or service advertised on its Web site is not available. While every effort is made to ensure that the information and materials contained in the site, including text, graphics, links to other Internet resources or other items is accurate, they are provided on an "as is", where is basis. No warranty of any kind, implied, express, or statutory is given by allsales.ca in conjunction with the information and materials including, without limitation, the accuracy adequacy, timeliness, merchantability, operation, non-infringement, usefulness, completeness, reliability and fitness for a particular purpose or completeness of the information and materials and expressly disclaims liability for errors or omissions in this information and materials. Further, allsales.ca does not represent or warrant that the site will be at all times available and meet your requirements, that access will be uninterrupted, that there will be no delays, failures, errors or omissions or loss of transmitted information, that no viruses or other contaminating or destructive properties will be transmitted or that no damage will occur to your computer system. You have sole responsibility for adequate protection and backup of data and/or equipment and to take reasonable and appropriate precautions to scan for computer viruses or other destructive properties. In no event allsales.ca, his affiliated companies, his administrators, his employees and representatives be liable to you or anyone else for any damages whatsoever (including without limitation direct or indirect, special, incidental or consequential, exemplary or punitive damages, losses or expenses) arising in connection with this site or use thereof or inability to use by any party, or in connection with any failure of performance, error, omission, interruption, defect, delay in operation or transmission, computer virus or line or system failure, loss of data, any unauthorized use or reproduction of the site or the information or otherwise, even if allsales.ca, or its representatives are advised of the possibility of such damages, losses or expenses. Links to other Web sites from this Web site are for convenience only and are at your own risk. No endorsement of any third party products, services or information is expressed or implied by any information, material or content referred to or included on, or linked from or to this site. Such products, services or information are not investigated, verified, monitored, or endorsed by allsales.ca. You are responsible for taking the necessary precautions to detect possible viruses and ensuring that any software program accessed through one of the links offered on this site is compatible with your computer. You must also ensure that you have up-to-date backup copies of the entire contents of your hard disk before installing software downloaded from these links. Certain names, graphics, logos, icons, designs, words, titles or phrases at this site may constitute trade names, trademarks or service marks of allsales.ca or of third parties of which allsales.ca is an authorized user. Use of trademarks on this site does not necessarily presume that a licence of any kind has been granted. The information contained in the pages of this site is the sole property of allsales.ca and is for your personal use only. All information at this site is protected under the copyright laws of Canada and in other countries. This information may not be reproduced, in whole or in part, without the written express consent of allsales.ca. Unauthorized public or commercial use, downloading, storage in any medium, retransmission, redistribution or other reproduction or modification of trademarks or information contained in this site is prohibited and may be a violation of such laws, including trademark or copyright laws and could subject the user to legal action.